​I am so sorry that you are having a hard time today in lab. We all have bad days, however, your bad day is interfering with the learning of others. 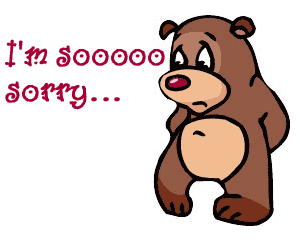 Please click the bear and complete the I'm Sorry form. This is for second - fifth grade.